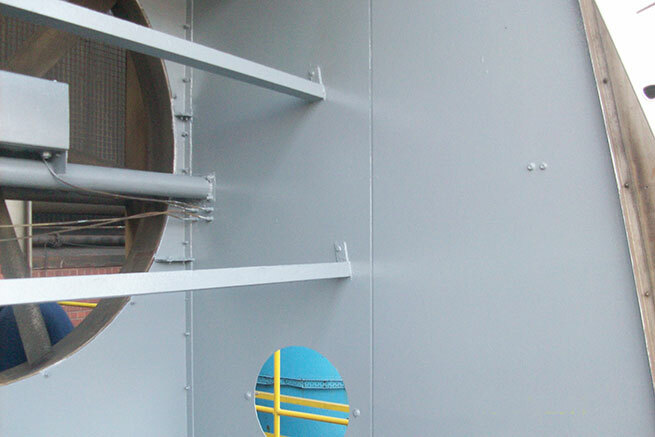 Fouled cooling towers and systems have been shown to reduce efficiency by 40% to 50%. This inefficiency increases operating costs which may not be in the budget. Most companies perform a risk management process to determine the frequency of Cooling Tower Cleaning but it is generally accepted practice to clean a cooling tower twice a year. Why is Routine Cooling Tower Cleaning Necessary? Cooling towers are excellent air scrubbers. During routine operation, they concentrate dust, pollen, pollutants, and whatever else is in the surrounding air. These contaminants contribute to the growth of microorganisms that can cause severe corrosion and energy robbing deposits, interfere with the proper functioning of the water treatment chemicals, and provide an environment conducive to the growth of bacteria. Routine cooling tower cleaning and disinfection reduces the negative impact of airborne contaminants and is an essential part of the preventative maintenance program for cooling tower systems. Cleaning is necessary to help physically remove debris that accumulates in the tower basin, louvers and fill. Disinfection helps control the growth of problem causing microorganisms. Because of the importance of maintaining a clean cooling tower, most manufacturers recommend cleaning at least twice per year. How Does Tower Cleaning Save Energy? Although the cooling tower only uses about a fifth as much energy as the chiller, its operation has a huge impact on the overall operating costs of a HVAC system. Keeping cooling towers clean allows them to more efficiently cool the condenser water supplied to the chillers. This minimises the operating costs associated with the recirculating pumps and tower fans. It also allows the cooling tower to produce colder condenser water. Every 1°C increase in the condenser water temperature supplied from the tower translates into a 2% decrease in the chiller efficiency. 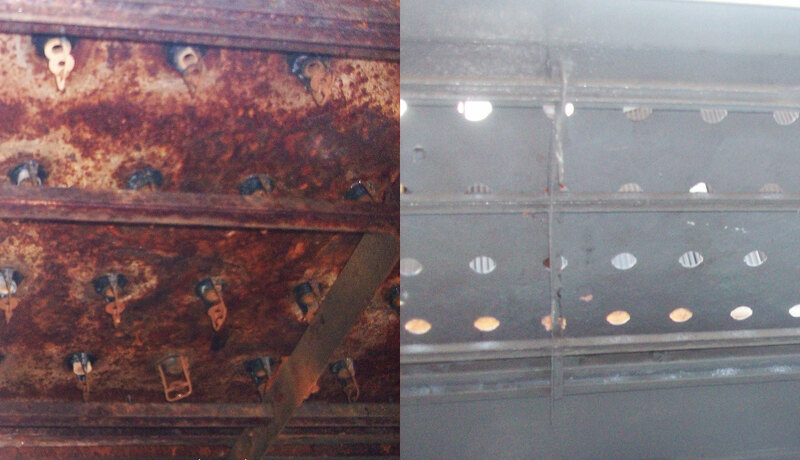 Routine cooling tower cleaning and disinfection also helps keep the condenser tubes clean and energy efficient. The contaminants in cooling tower water act as a food source for biofilm-forming bacteria that readily grow on condenser tubes. Any suspended matter in the tower water is readily transferred into biofilm deposits. These contaminants also place a demand on the water treatment chemicals, which reduces their effectiveness. Regularly removing these contaminants and disinfecting the system water greatly reduces the potential for energy-robbing chiller deposits. What are the Bottom Line Benefits?